Our Products in App Store. An alternative app to PhotoShop. It is a full-featured graphic design software for Mac. PixelStyle includes all the essential tools you need from a professional photography app. It is painstakingly engineered for professionals with mass intuitive tools: filters, layers, special effects, editing, retouching and photo enhancement. 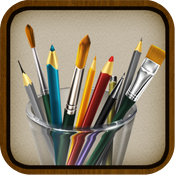 100 brushes were built-in to offer unparalleled drawing experience for Mac. With the State-of-art image editing Technology and fast, precise working capability, PixelStyle has become an indispensable editing and designing tool for all photo graphic designers on Mac. Free Download Photo Editor for Mac NOW! Instantly Remove Background from Image for Mac and cut images on mac in seconds-to-minutes instead of minutes-to-hours. The easiest way to remove background from picture on Mac. 20 Background Transition Effects are available. 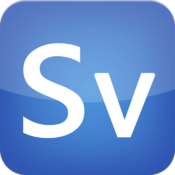 Super Vectorizer is a professional vector trace tool that enables the conversion from a raster bitmap images like JPEG, BMP and PNG to a scalable vector graphic with a few simple clicks. It automatically traces high quality vector files from images and supports tracing of not only color and grayscale images, but also black and white as well. With Technological Advances in raster to vector conversion, Super Vectorizer does an impressive job of vectorizing Raster / Bitmap / Photo Images into crisp, clean, scalable fine Line Art / Illustrations / Vector Art. MyBrushes is an unique Mac Drawing Software and photo editing application which supports drawing, text input and instant image processing. It can playback the whole painting process on UNLIMITED Size Canvas, UNLIMITED Layers with UNLIMITED Undo / Redo Steps. It is the best creative sketchbook for professional artists to sketch out what you imagine! It has a simple and easy interface that you don't need knowledge of color system such as RGB, HSV and others. There are more than 100 preset realistic brushes to simulate the effect of Brush painting, Watercolor painting, Oil painting, Chinese painting, Drawing, Chinese Calligraphy, and so on. This noiseware tool is perhaps the world's most powerful photo noise reduction software. Using the State-of-art Denoising Technology in photography industry, Super Denoising professionally reduces low light and high ISO noise in digital camera shots, tablets and smartphones (iPad, iPhone, Galaxy, HTC), perfect for handling night shots and underexposed photography. Super Denoising noiseware for Mac is an indispensable tool for all professional photographers. It not only removes all kinds of noise, but also easily retouches skin, smooths face and removes jpeg Artifacts to create a neat image. Super Denoising proprietary technology ensures the best denoising results. Super Refocus adds focus and depth to your Photos. 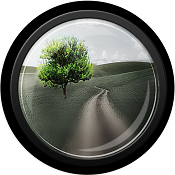 It easily creates selective focus, lens blur, motion blur and tilt-shift effects. With Super Refocus, the amazing tilt-shift photography is easy generated. By simply applying a blurred background and increasing the depth of field, a sense of depth is created to draw attention to the most important objects of an image. Super Refocus extends filter and lens functionality beyond your camera and allows you to make these adjustments after the shot, simplifying your shoot and giving you more control. Free Download Super Refocus NOW! Super Eraser magically remove unwanted objects from photo for Mac and instantly fix your photos. Powered by the latest revolutionary photo InPaint for Mac algorithm, Super Eraser performs the best among all other Mac InPaint apps that ruin your photos, including popular professional photo processing softwares. A variety of experiments shows the intelligent Super Eraser will give you better and more natural, amazing results than any similar tools. Super Eraser for Mac quickly erases unwanted objects such as logo, text, data stamp, watermark, acnes, people... without any specialist knowledge and instantly fix the photos automatically as if they were never there. InPaint, improve and repair your photos. 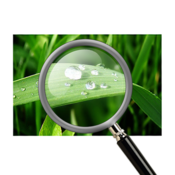 It targets to be a simple yet effective photo healing app for all Mac users. Get the magical photos done in seconds-to-minutes instead of minutes-to-hours. People all over the world use Super Eraser every day to beautify their photos. Free download Eraser for Mac today to be more creativity! Free Download Super Eraser Now! 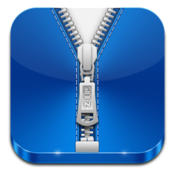 As WinZip, Mr.Zipper is the excellent, professional compression and extraction tool which supports quick look and personalized settings. It features more supported formats than other zip tools. Supported extraction formats: RAR, 7Z, ISO, CAB, MSI, Zip, Stuffit, Arj, Z, Lzma, Tar, Gzip, Bzip2, EXE, PAX. Photo Size Optimizer for Mac, a powerful photo resizer and optimizer, allows you to optimize all your photos by 80% ~ 20% comparing to their originals while keeping their original resolution, quality and png, jpg, gif formats. With IMAGEmini, you can save huge space and share full-resolution photos with your friends much faster. 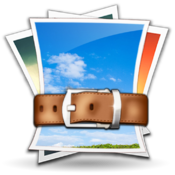 Photo Size Optimizer for Mac also supports batch resizing hundreds of photos quickly and easily with one click. It supports 70 types of image formats for re-sizing. Lossless Photo Squeezer is a professional image size compressor which will reduce your PNG, JPEG and GIF photos and images size with LOSSLESS quality. You can optimize all your photos to save much hard drive space, web space and share full-resolution photos online more faster. Especially, Lossless Photo Squeezer can import the entire directory (including sub-directories) and output the images back without changing the original directory structure. It is the unique features that you don’t need spend extra time to re-organize all your photos after being optimized. Fast, easy to use and intelligent utility to expand RAR, 7z and other compression format files. 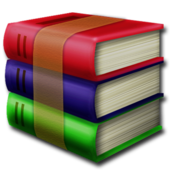 - Supported extraction formats: RAR, 7Z, ISO, CAB, MSI, Zip, Stuffit, Arj, Z, Lzma, Tar, Gzip, Bzip2, Zip EXE, PAX. - Extract password protected RAR,7z and zip files. - Supports quick look selected file with system default app. - Double click RAR files to expand. - Batch RAR,7z and other compression formats expander. The program offers an innovative image enlargement algorithm which results in perfectly smooth and crisp edges. And it can simulate the texture and film grain which keep photos looking natural even in extreme enlargements.HQ Photo Enlarger beats any of the alternative solutions, such as Photoshop's Bicubic technique, Bilinear methods, and so-called 'industry standards.